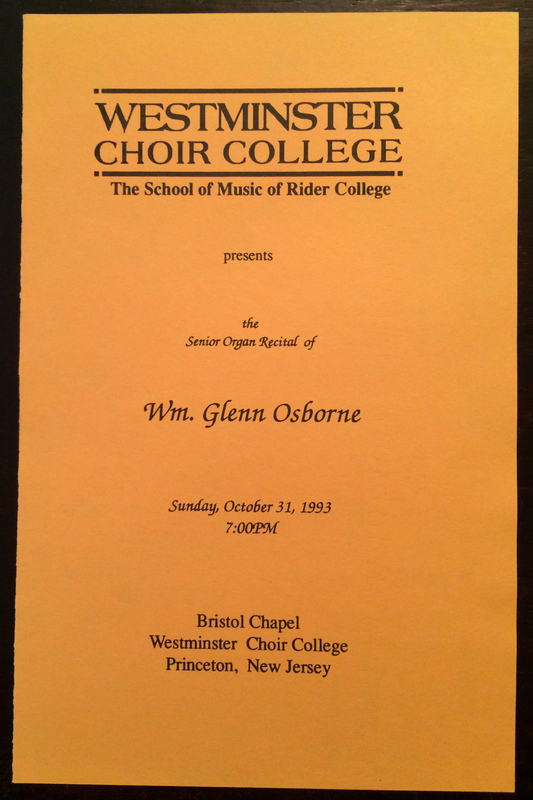 I planned my senior recital at Westminster Choir College for Sunday evening, October 31, so I decided to include some selections appropriate for the day. I opened with the Bach Toccata and Fugue in D minor, concluded with the Toccata from Louis Vierne’s Pièces de Fantasie. In the middle of the program, I played the complete L’Orgue mystique, no. 48 for All Saint’s (November 1). this was the second suite from L’Orgue mystique that I learned. The first was no. 17 for Easter which I had learned and played for a chapel service earlier in the spring at the request of my chant teacher, Fr. Gerard Farrell. Fr. Farrell was not only a chant scholar, he was an organist and had studied with Flor Peeters. Fr. Farrell’s love of chant the organ music based on it definitely led to my interest in the music of Tournemire and improvisation. The first movement of the suite for All Saints is a simple one page prelude. It alternates a brief harmonic progression with accompanied presentation of portions of the introit chant Gaudeamus omnes in Domino. I have marked up a copy of the score here showing the alternating sections. In it’s simplest description, the piece is a seven part rondo: ABABABA with A being simple harmonic fill and B containing the theme. This plan of alternating sections will be our model for the form. The tonal language of the accompaniment is simple, staying virtually all the time in the mode of the chant providing atmosphere more than following traditional harmonic progressions. In Tournemire’s day, the organ was not used during the season of Advent except on the third Sunday, referred to as Gaudete Sunday and the Feast of the Immaculate Conception. As most organists continue to play during the Advent season now, I thought it would be a good idea to take themes from Advent and apply Tournemire’s forms and ideas to them in order to fill in the gap in today’s repertoire not covered by L’Orgue mystique. Perhaps the best know Advent theme today is Veni Emmanuel, a modal chant tune that I’m sure Tournemire would have used if he had needed to write more organ music for the season. One of the tasks that I’ve suggested from time to time that will help us become better improvisations is to actually take pencil and paper and write out our ideas. I took the time to craft a Prélude à l’Introït on Veni Emmanuel following rather closely Tournemire’s prelude for All Saints. (Donwload the score here.) While I can claim it as a composition, it really is simply an example of how we can take the form and ideas from Charles Tournemire and apply them to themes that we know and use in our liturgies today. I encourage you to play through both the scores and to try your hand at improvising your own prelude following this model on a theme of your choice. While I haven’t managed to make a video lesson of this yet, I was able to record performances of both the All Saints Introit and my Advent version. I also recorded an improvisation on Adoro Te Devote following the same idea (and registration). None of these is terribly long, but they can be fabulous ways to fill a couple of minutes, introduce a new tune to the congregation, or even provide an introduction to singing a hymn. I hope these lessons and examples will lead you to enjoy and discover the music of Charles Tournemire as I was led to it by Fr. Farrell. Posted in Lesson, Newsletter. Tagged All Saints, chant, Charles Tournemire, Flor Peeters, L'Orgue mystique. 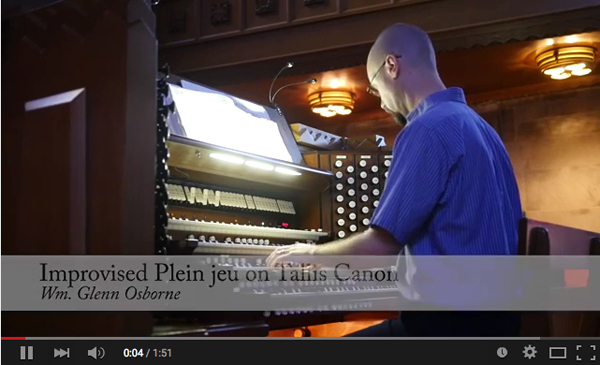 In concluding this series on the French Classical Suite, we come to one of the most impressive sounds of the French Classical organ, the ensemble of reeds. Virtually every time I sit down at a historic instrument and pull out the small number of stops required for the Grand Jeu, I am impressed by the volume of sound. Listen to Jean-Baptiste Robin play Louis Marchand’s Grand Dialogue at Poitiers to hear what 6-7 stops can produce! Use of the pedal depended upon the organ, but was based on the Trompette, adding the Clairon and then Bombarde stops if available. Couperin and Boyvin specify the flute stop on the pedal when they include trio passages in their dialogues. Multiple forms are used with this registration including Pedal points, Fugues, Dialogues, and Overtures. In an early suite, the Grand Jeu may only be 10-12 measures long and played entirely on one keyboard. Later composers created 10-12 minute Dialogues exploiting the varied palette of colors and demonstrating a variety of writing styles. For a short movement with a little variety, the overture provides an easy example for us to follow. Start on the Grand Orgue in a slow tempo. Use dotted rhythms. Scales by either the right or left hand can provide movement while the other hand holds a static chord. This slow section is generally in a duple meter. The second section is generally faster and in a triple meter. Voices could enter in a fugal style (one after the other in imitation). Typically this portion would start on the Positif and could have dialogue sections where the soprano or bass would be played on the Grand Orgue. The final section would be a return to the material of the opening of the movement, but may be very short and serve more like a coda than a true repeat of the opening. I hope you have enjoyed this series on the French Classical Suite. Please let me know if you have any questions or areas where I could offer further help as you improvise your suites. If you are able and willing to share recordings of your improvisations, feel free to include them in the comments section for this post. Improvement comes not only through practice, but also feedback. This applies not just to improvising, but also to writing. 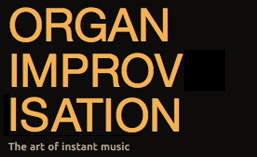 If you have suggestions for the next series or ideas for how I can help you improvise better, I’d love to hear them. Posted in Lesson, Newsletter, Style. Tagged form, French, French Classical, Grand Jeu, Newsletter, Reeds, style. As our ears are naturally attracted to the extremes, melodies often get placed in outer voices. The default location for a solo voice tends to be the soprano or uppermost voice. A soft gentle air will usually have the theme here. The most common exception to a soprano solo would be a rousing toccata where the extreme low end gets the theme played by our feet. Today, I want to look at two forms found in the French Classical Suite where the left hand gets the solo. Depending upon the organ, a Clairon 4′ might also be added to the solo registration and the Doublette 2′ and/or Larigot to the accompaniment. Like the other récits last week, it is possible to use other solo registrations for a bass solo. A Basse de Cromorne will have more stepwise motion that a Basse de Trompette, and a Basse de Tierce will be even smoother. Though large leaps will still appear with these other registrations, the frequency of them will decrease as the registration becomes further removed from the trompette. The tempo is also likely to slow down. Because of the activity in the solo voice, the harmonic rhythm is likely to be only one or two chords per measure. That makes these great pieces to work on if you want to practice thinking faster than you play! While the pedal is used for these pieces, no registration was specified as there would be so little to choose from on a French Classical organ. Most organs had a Great to Pedal coupler, and the only pedal stop available for accompaniment would be the Flute 8′. As the Tierce stop lost its’ strength in the 18th century, the accompaniment also lost some of its vigor by exchanging the Prestant for a Bourdon and even losing the 16′ stop(s). If a Montre 8′ was available on the Positif, it might be added to the solo and the Prestant 4′ changed to a Flûte 4′. These movements are some of my favorite from this stylistic period. The registration is rather unique with the accompaniment surrounding the solo (written above and below, but also sounding in the same register as the solo). It was often used at the Elévation in Mass (where the priest consecrates the bread and wine – the most solemn moment of the celebration), but it also appears in other suites for verses of the Magnificat, Gloria, and other hymns. These solos are very vocal in style and highly ornamented. They should be considered like récitatives sung during the same time period, almost without tempo and with lots of freedom to explore the exquisite sounds of this registration. The Cromorne en taille would be slightly less active, but still extremely vocal and highly ornamented. These are delicate pieces so a Trompette would never be chosen as a solo here. These movements will encourage you to think more about your left hand. As the left hand often ends up playing in the middle of our improvised texture, it can be filler and often is mindlessly making noise. These two solo movements require that we focus our attention on the left hand, whether it is playing the lowest part of a Basse de Trompette or is in the middle as a Tierce en Taille. If you have difficulty focusing on the left hand, you could always rehearse the solo and accompaniment separately. Just like a live duo, the accompanist practices his or her part before meeting the soloist, and the soloist learns his or her part before meeting with the accompanist. Practice your left-hand solos alone to discover how to play the leaps and ornaments for these movements. Practice the right-hand (with pedal) accompaniment so that harmonically you have a support for the solo. Then schedule a joint rehearsal after each has learned his or her part! May your left-hand solos be as creative and easy as your soprano solos! Posted in Form, Information, Lesson, Newsletter, Style. Tagged Basse de trompette, Cromorne, French, French Classical, Newsletter, Registration, Tierce, Tierce en taille, Trompette. Structurally, a French Classical Récit may not seem too difficult to improvise. Pull out a solo stop and a bourdon (maybe with a montre 8′ or flute 4′). Play for a couple of minutes. Make sure you cadence in the same key you started, and you’re done. Easy, right? At first glance, Récits come with a variety of registrations: cornet, cromorne, trompette, nazard, tierce, hautbois, and even voix humaine. There are even movements that dialogue between two different solo registrations so that you don’t even have to limit your selection to one at a time! While many of these movements are in some form of 4/4 time, pieces with three beats per measure are not uncommon. Aside from an occasional suggestion of some snippet of a phrase from the chant, there is usually not a distinctive melodic motif or other form expected for the piece. With so many options, what makes it so difficult to be authentically French Classical? About twenty years ago, I came across an article that delivered an a-ha moment for me about improvisation and also prepared me to study abroad. Unfortunately, I have no idea who the author was or where the article appeared. (Presumably the photocopy I made of it might be hiding in an unopened box from my recent move, but was likely misplaced many years ago.) The article compared improvising to learning the unwritten rules of a culture. Every culture has and teaches its members a certain set of behavior an knowledge. Most people do not realize the extent of this cultural formation until they encounter a radically different culture while traveling. While it is easy to accept and understand that each culture teaches its members its own set of knowledge and behavior, the revelation for me in this article was that the level of assumed knowledge varies from culture to culture. The author compared the cultures of Germany, France, the United States, and Japan. Germany demonstrated the lowest level of assumed knowledge. Germans will explain what you need to know to you clearly. If the information is important for your understanding, it will be included and explained by a German. Moving to a slightly higher level of presumed knowledge are the residents of the US. (I’ll call us Americans for brevity even though I recognize there are many others on this continent that can use that title and not be the group the author referred to.) As an American, I am likely to presume that my audience has some familiarity with the topic I am presenting. Ask questions, and I’ll fill in any details you need, but I’m not going to bore you with details that you may already know if I can make my point without them. in France, a great deal more knowledge is presumed. Where an American might presume you’ve heard of an author before, the French will not only expect you to know who the author is but also when he lived, what he wrote, and something about his style or why he was influential. I was very thankful to have learned this before I went to study in France. In a practical example, if I hadn’t known there was a discounted train ticket price for students, I would have never been told or offered one by the sales agent. Presumed knowledge is not explained. The culture with the highest level of presumed knowledge in the article was Japan. I have never traveled to Asia, so cannot verify how different this is from the other three cultures (which I have experienced). I do know there are many more cultural rules and behavioral expectations in Japan, so this hierarchy of assumed knowledge seems to make sense to me. Neither the author of the article nor I imply that any of these cultures is better than the other. They are simply descriptions that are useful to know, especially when moving from one culture to another. Music is often called a language, so carries it’s own set of implied knowledge and structure. The French presume a certain level of knowledge that remains unstated. The title of a movement not only gives the registration, but so far has also implied a tempo and character. It’s no surprise then to discover that Récits have different characters and compositional styles based upon the solo voice chosen. 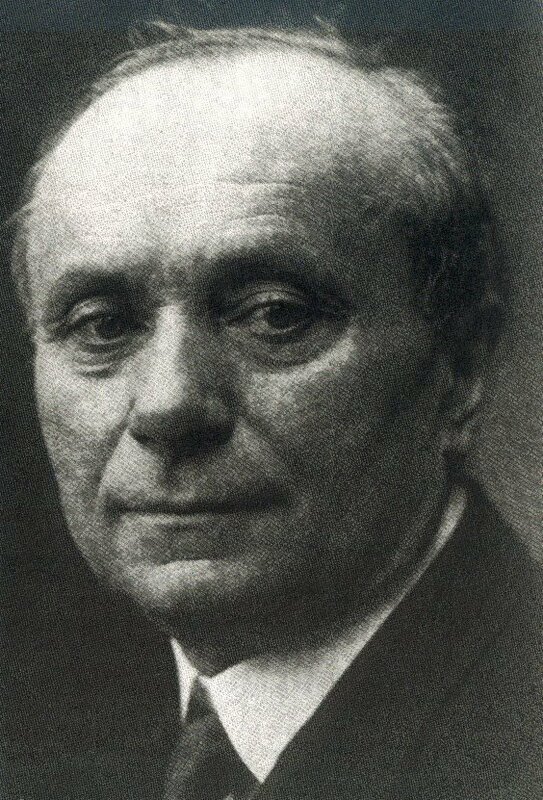 If more than one option is given by the composer for the solo voice, then it is expected that the tempo and ornamentation of the piece will change with the registration. Slightly slower than the Récit de Cornet, but still generally a lively piece the Récit de Tierce often ends with two upper solo voices. The Récit de Nazard is the slowest of these three, generally marked Largo, Andante or Tendrement (Tenderly). Clérambault is the exception with a Récit de Nazard marked Gayment et gracieusement. 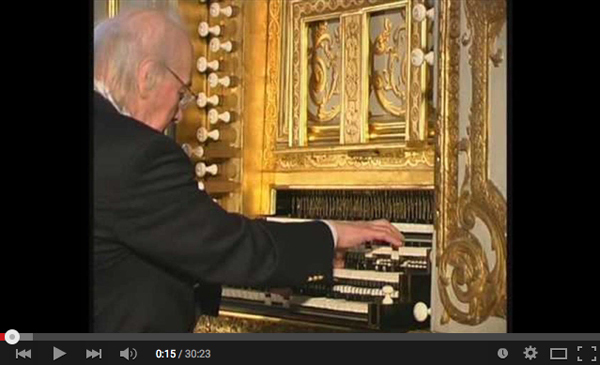 The Hautbois being a later innovation to the French Classical organ, these récits are generally quicker and more active than a récit de cromorne. They are modeled more after writing for the violin than purely vocal styles. Finally, the Voix humaine is the slowest of the récits, played in a more legato, vocal style, reflecting the name of the stop. The best way to speak a foreign language is to live in the country where you are completely immersed in the language and culture. Learning to improvise in French Classical style requires the same immersion with the native speakers. Just as there are accents and dialects in a spoken language, each composer will write a little differently than the next, but they will still speak the same language. Exposure and focused study will allow you to notice the unwritten expectations of the style like the differences in tempo and ornamentation between solo stops. What musical elements have you learned through immersion? How long were you immersed before the knowledge appeared? How did you become immersed in a particular musical idiom? We have so many different musical styles available to us now, I believe it is more difficult to truly be immersed in a musical language, but I’d love to hear any immersion stories you might have. Hoping your Récits sound truly French! Posted in Lesson, Newsletter, Style. Tagged French, French Classical. One of the things I really enjoyed during my time in France was the study of harmony and counterpoint. My plan was to spend a year abroad in between my Master’s and Doctoral degrees here in the US. I loved living in France so much, that I eventually stayed for four years. Even though I had earned an advanced degree here, when I began study of harmony and counterpoint in France, I was placed in the class of first year students! Initially, I felt a little humiliated at having to start from scratch, but I also realized that there were some skills I could acquire and improve by starting at the beginning. All exercises were written in C or F clefs (no Treble G clef). While I had learned to read these clefs in school, I figured it wouldn’t hurt to become even more familiar with them. One of the other distinctions was that exercises were always done with pencil and paper at a desk. No keyboard (or other instrument) allowed. This forces you to hear inside your head and know what the little dots on the page actually sound like before you play them. It is possible to write lines that look great on the page and may even follow all the rules but actually sound very bad. In all my studies in the US, I do not believe we were ever denied the opportunity to check our work on a keyboard before turning it in. Believe it or not, work with pencil and paper can actually be ear training work! Have you tried to improvise any duos yet? How successful were you in creating two independent voices? My entire first year of counterpoint in France was spent writing in two voices. To truly master these contrapuntal styles takes lots of practice. The great joy of improvising a suite is that no movement needs to be very long. Use any opportunity you have to improvise in the two part texture, even if it is only for a 15-30 second interlude or coda where you need to cover some liturgical action with music. Even if the registration is not from the French Classical period, practicing in two voices will help you become more familiar with the texture and gain fluidity. While you may not want or need to spend a year on two-part texture as I did in France, the more comfortable you are with two voices, the easier it will be to move into three parts. There are two types of trios in the French Classical suite. The simplest to begin is the Trio à deux dessus (with two upper voices). As with the Duo, in this Trio form, the voices are generally imitative and enter one after the other, most typically from high to low. The top two voices are played with the right hand and the lower voice with the left. As with the Duos, these pieces tend to be in a triple meter, though usually with a slower implied tempo than the Duos. 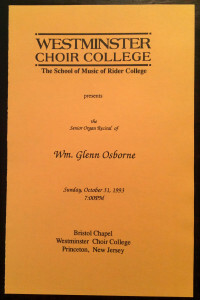 (Perhaps this was so the improvising organist could take a little more time to think when managing the three voices!) This doesn’t mean that they were slow, just not as fast. One of the more interesting registration suggestions by Gigault is to use the Tierce of the Grand Orgue for the upper and lower voices while playing the middle voice with the thumb on the Cromorne of the Positif! This would definitely require practice and is not necessarily well-suited to all trio textures. The other Trio voicing has each voice on a different keyboard. While there are a certain number of pieces written that require three hands to play, I’m not sure these are within the realm of an improviser. Even though I have done some joint improvisation, asking someone to improvise a third voice in a strict contrapuntal style would require some real practice and perhaps some other agreements about form and structure in order to have any chance of success. The great thing about being an organist is the ability to use our feet to play a (pedal) keyboard. French pedalboards of the time were primitive by today’s standards, so the bass voice of these trios is likely to be slower moving than the other voices. Grigny pushes the technique of the organist by providing several measures of eighth-notes in one of his hymn suites. In general the registration for these trios with pedal looks very much like the registrations above but with an 8′ Flute in the pedal. On organs where there was a pedal coupler, it was also possible to use the Jeu de Tierce from the Grand Orgue in the Pedal. Unfortunately, I don’t have a lot of guidance to give you for the best way to improvise a trio. Trios are the sorts of pieces where written contrapuntal studies become extremely useful. Choosing a short motif and making sure to pass it frequently from one voice to another would be a good mental focus when improvising a trio. It could also be helpful to practice improvising two voices alone with the right hand. Study the repertoire. Write out your best ideas and turn them into sequences and transpose them into other keys or modes. Above all else, practice slowly so that you have time to think (and hear) before you play. While I believe it is easier to begin with a Trio à deux dessus, you may have an easier time with a Trio à trois claviers. Is it more complicated to add in an extra voice (with the hand) or an extra body part (the feet)? I’d love to hear which of the two is easier for you. Posted in Newsletter. Tagged French, Newsletter, Trio.